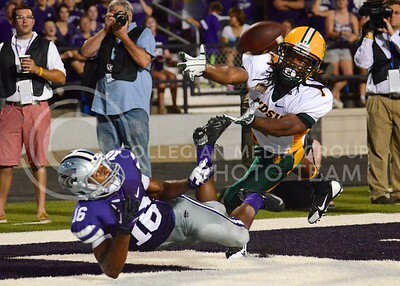 (Photo by Parker Robb | Collegian) Junior wide receiver Tyler Lockett dives and attempts a catch during the second quarter of the Wildcats' season opener 21-24 loss to the North Dakota State Bison August 30. 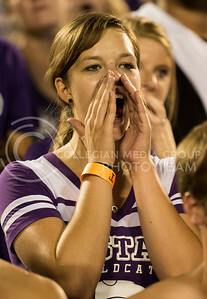 K-State fans emplyed yelling and key jangling in an attempt to distract the other team during the the KSU vs NDSU game in BSFS on Aug. 30, 2013. 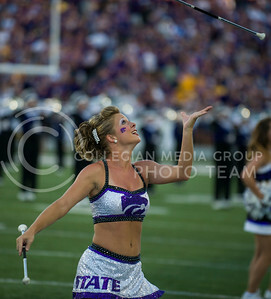 (Photo by Emily DeShazer / The Collegian) The K-State twirler performs for the crowd Aug. 30 2013 at Bill Snyder Family Stadium on Aug. 30, 2013. 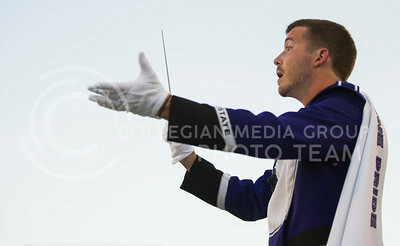 (Photo by Emily DeShazer / The Collegian) A drum major directs the K-State band before the game against North Dakota State on Aug. 30, 2013 at Bill Snyder Family Stadium. 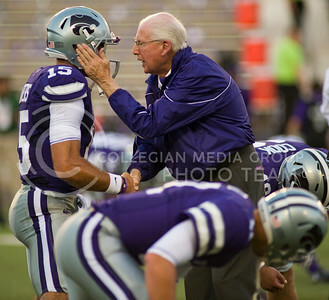 (Photo by Emily DeShazer / The Collegian) K-State quarterback Jake Waters (left) listens to Bill Snyders words of advice before kickoff against Norht Dakota State Aug. 30, 2013 at Bill Snyder Family Stadium. 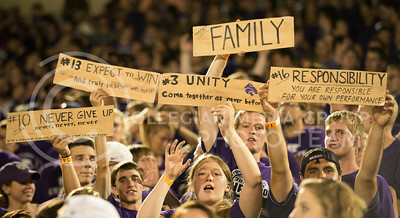 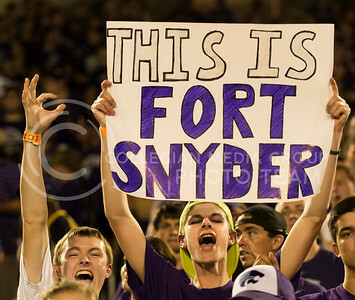 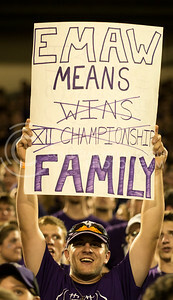 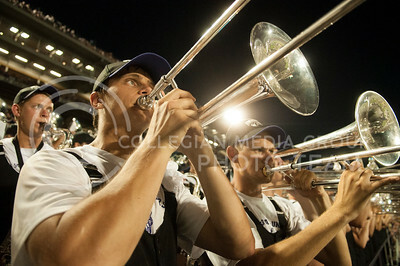 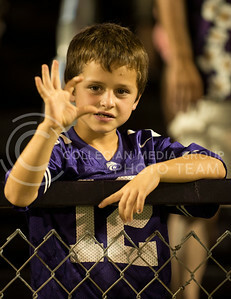 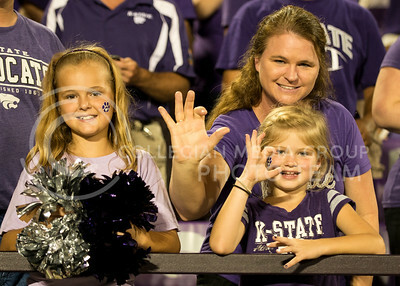 Fans cheer as the game against NDSU begins in Bill SNyder Family Stadium on August, 30, 2013. 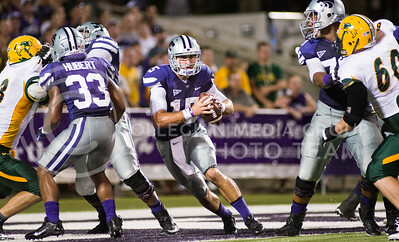 (Photo by Emily DeShazer / The Collegian) K-State quarterback Jake Waters rushes through a hole in the defense Friday night at Bill Snyder Family Stadium. 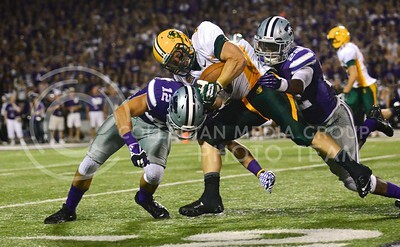 (Photo by Parker Robb | Collegian) Senior running back John Hubert attempts to evade a tackle during the second quarter of the Wildcats' season opener 21-24 loss to the North Dakota State Bison August 30. 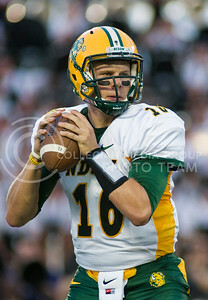 (Photo by Emily DeShazer / The Collegian) North Dakota State quarterback Brock Jensen looks downfield Friday night at Bill Snyder Family Stadium. 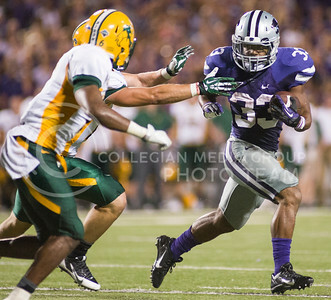 (Photo by Emily DeShazer / The Collegian) K-State running back John Hubert avoids three North Dakota State defenders on Aug. 30, 2013. 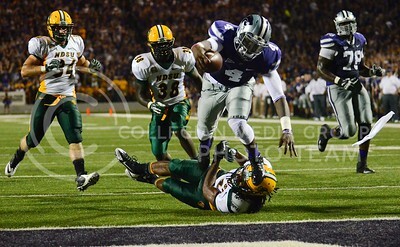 (Photo by Parker Robb | Collegian) Junior wide receiver Tyler Lockett rushes to tackle North Dakota State corner back Marcus Williams after he caught the first of two interceptions thrown by junior quarterback Jake Waters during the second quarter of the Wildcats' season opener 21-24 loss to the North Dakota State Bison August 30. 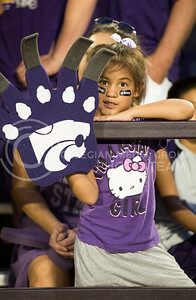 KSU vs NDSU game in Bill Snyder Family Stadium on Aug. 30, 2013. 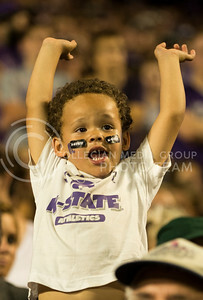 Willie celebrates after a successfull play during the KSU vs NDSU game in Bill Snyder Family Stadium on Aug. 30, 2013. 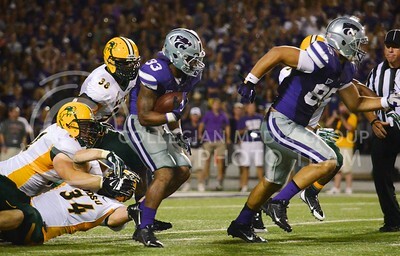 (Photo by Parker Robb | Collegian) Senior defensive back Ty Zimmerman (12) and sophomore defensive back Dante Barnett rush to tackle North Dakota State running back Derrick Lang during the second quarter of the Wildcats' season opener 21-24 loss to the North Dakota State Bison August 30. 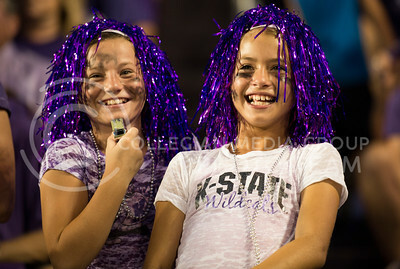 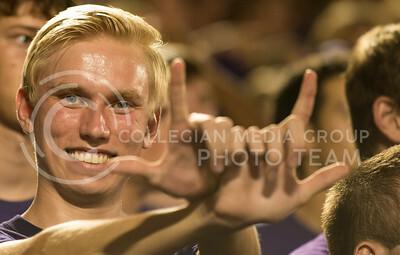 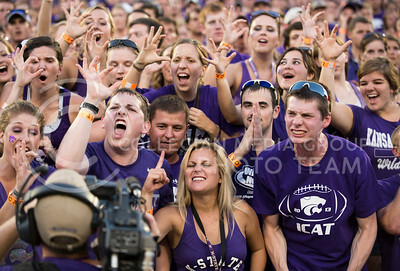 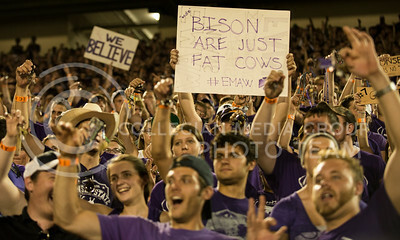 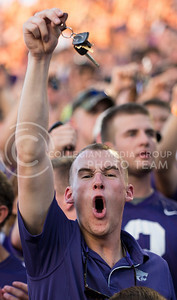 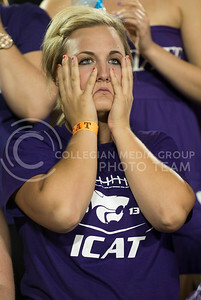 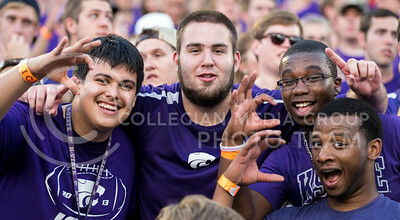 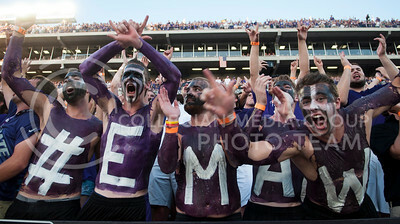 K-State fans show their spirit for the video camera at the KSU vs NDSU game in BSFS on Aug. 30, 2013. 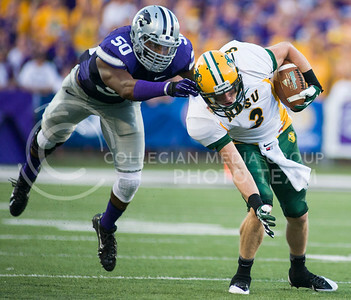 (Photo by Emily DeShazer / The Collegian) Senior linebacker Tre Walker takes down North Dakota State wide receiver Trevor Gebhart Aug. 30 2013, at Bill Snyder Family Stadium. 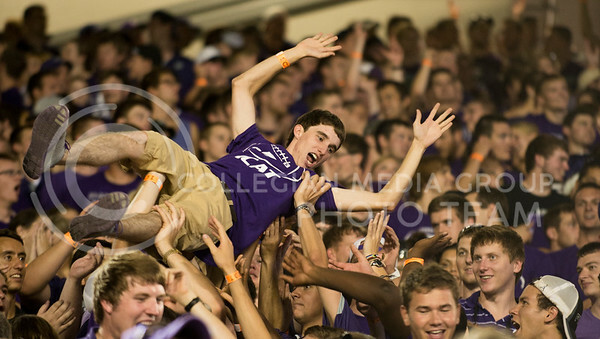 One fan crowd-surfs during the celebration following K-State's first touchdown at the KSU vs NDSU game in BSFS on Aug. 30, 2013. 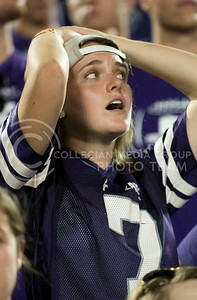 (Photo by Parker Robb | Collegian) Redshirt sophomore quarterback Daniel Sams, after a 17 yard run, stumbles over a missed tackle and into the end zone for K-State's third touchdown during the third quarter of the Wildcats' season opener 21-24 loss to the North Dakota State Bison August 30. 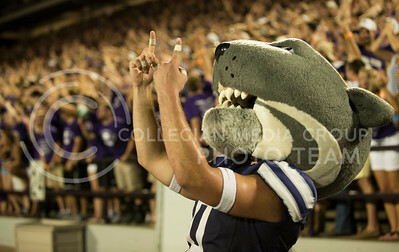 (Photo by Parker Robb | Collegian) Junior quarterback Jake Waters attempts a pass during the third quarter of the Wildcats' season opener 21-24 loss to the North Dakota State Bison August 30. 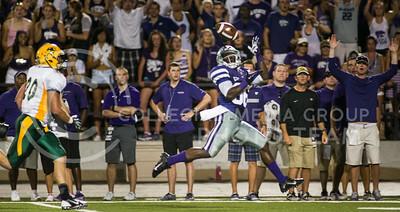 (Photo by Emily DeShazer / The Collegian) K-State wide receiver Tramaine Thompson catches a touchdown pass from Jake Waters Aug. 30 2013 at Bill Snyder Family Stadium. 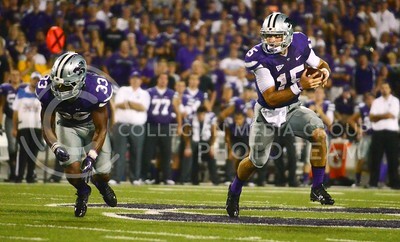 (Photo by Parker Robb | Collegian) Junior quarterback Jake Waters rushes out of the pocket during the third quarter of the Wildcats' season opener 21-24 loss to the North Dakota State Bison August 30. 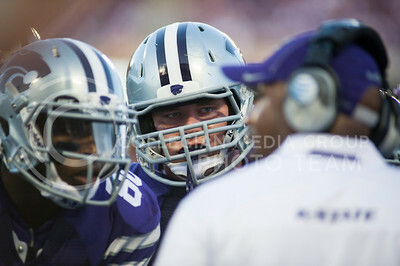 (Photo by Parker Robb | Collegian) Senior running back John Hubert, evading three tacklers, rushes for 17 yards and a K-State first down behind blocking junior tight end Zach Trujillo during the second quarter of the Wildcats' season opener 21-24 loss to the North Dakota State Bison August 30. 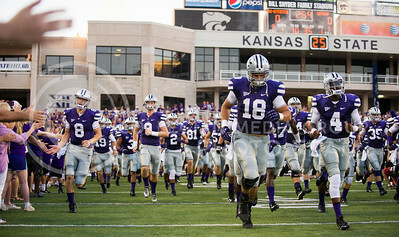 (Photo by Emily DeShazer / The Collegian) The K-State football team takes the field before the game on Aug. 30, 2013 at Bill Snyder Family Stadium. 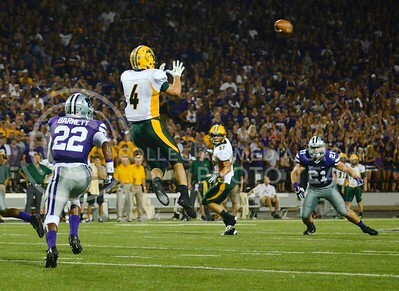 (Photo by Parker Robb | Collegian) North Dakota State wide receiver Ryan Smith springs up to catch a pass from quarterback Brock Jensen during the second quarter of the Wildcats' season opener 21-24 loss to the North Dakota State Bison August 30. 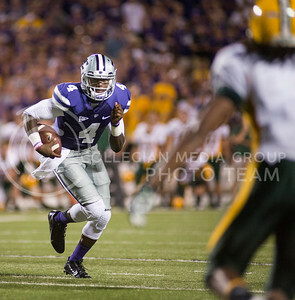 (Photo by Emily DeShazer / The Collegian) Quarterback Danniel Sams rushes in for a touchdown while alluding the North Dakota State defense Aug. 30, 2013 at Bill Snyder Family Stadium. 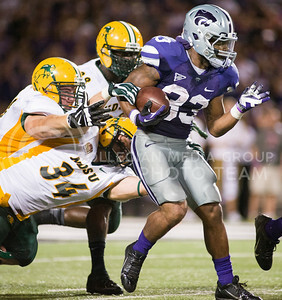 (Photo by Emily DeShazer / The Collegian) Running back John Hubert rushes just out of reach of two North Dakota State defenders on Aug. 30, 2013 at Bill Snyder Family Stadium. 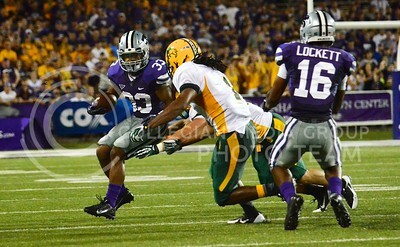 (Photo by Emily DeShazer / The Collegian) North Dakota State running back Derrick Lang runs out of reach of a K-State defender on Aug. 30, 2013. 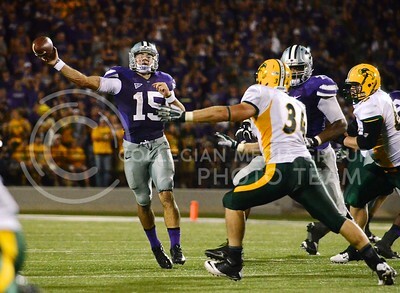 (Photo by Emily DeShazer / The Collegian) Quarterback Jake Waters brings the ball out of his own endzone during the game against North Dakota State on Aug. 30, 2013. 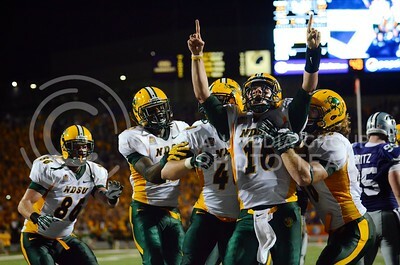 (Photo by Parker Robb | Collegian) North Dakota State quarterback Brock Jensen celebrates after scoring the game winning touchdown for the Bison with only 28 seconds remaining. 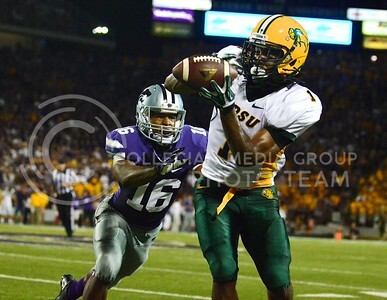 The Wildcats were unable to answer, losing their season opener to the Bison 21-24.